January 11, 2005 - After screening before appreciative audiences and achieving Honorable mention at the 2004 Independent Black Film Festival, A Shepherd of Pure Heart - A Gospel Movie! is released nationally as the flagship movie on Maverick Entertainment Group's SPIRIT Label. 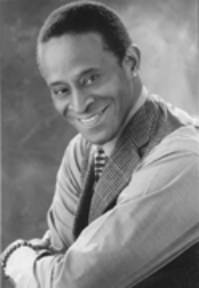 DESSELB Productions is pleased to cast Antonio Fargas in the role of Bishop Titus Kingston in its upcoming feature Sister Sonya’s Prayer Group. Mr. Fargas, best known for his role as “Huggy Bear” in the 1970’s television series Starsky and Hutch, has accepted a role in this Maryland-based independent movie. Fargas’ expansive film and stage career includes The Cool World, Putney Swope, Shaft as well as recent appearances on the television comedy series Everybody Hates Chris, and the touring production of Driving Miss Daisy. Sister Sonya’s Prayer Group is the third feature from DESSELB, the Anne-Arundel County-based Gospel movie company founded by Evangela Butler-Sherman and Keith Garside. Pioneering the Gospel movie genre, DESSELB premiered You’re Never Too Young at the Maryland Hall for the Creative Arts in 2000. DESSELB’S second production, A Shepherd of Pure Heart, was released in 2005 to DVD rental and retail outlets nationwide as the flagship movie on the Maverick Entertainment Group’s new Spirit label. A Gospel romantic comedy, Sister Sonya is a lighter story than the drama played out in A Shepherd of Pure Heart. Still, fans will recognize and bond with the same depth and powerful message that characterize DESSELB movies. “The story doesn’t shy away from the issues, both light and dark, that confront believers today,” said Garside.